In my last blog post I shared from the Scriptures the critical importance of confidence in our approach to God in prayer. Confidence, or faith, as it is most commonly called in the Bible, is the key to getting answers to prayer. Nobody spells this out more plainly than Jesus. “Therefore I (Jesus) tell you, whatever you ask for in prayer, believe that you have received it, and it will be yours” (Mark 11:24 NIV Emphasis added). If you are finding yourself struggling on the believing end of prayer, no need to despair. Our lack of confidence is not a problem for God. He has provided in His word ways to overcome every confidence robber we face, not the least of which are condemnation, confusion as to how to pray according to His will, and mischaracterizations of His divine nature. In the previous blog I addressed the first of these issues – condemnation. There I explained how applying the blood of Jesus is God’s provision for dealing with the accompanying guilt, and is the process whereby He makes us righteous and acceptable to approach His throne of grace with confidence. Now let us focus on a second way to increase our confidence in prayer – by ridding ourselves of the confusion of not knowing how to pray. Uncertainty with regard to discovering and praying according to the will of God is a debilitating confidence robber. The epistle of James likens this condition to being plagued by doubt, tossed to and fro like a wave of the sea, and terms it “double-mindedness” (James 1:6, 8 NIV). He tells us that such a “person should not expect to receive anything from the Lord” (James 1:7 NIV). Truth be told, nothing deflates our rising expectation for answered prayer like double-mindedness. But wait, the opposite is also true. Nothing pumps up our prayer expectations like knowing the will of God. No one explains this better than the Apostle John. “This is the confidence which we have before Him, that, if we ask anything according to His will, He hears us. And if we know that He hears us in whatever we ask, we know that we have the requests which we have asked from Him” (1 John 5:14-15 NIV Emphasis Added). These verses lay the foundation upon which every effective prayer should be based – asking according to His will. The challenge, of course, in any given situation which requires prayer, is to discover exactly what the will of God is. This is obviously easier said than done. What then should a person to do who desires to pray, but is battling double-mindedness and has no confidence as to what the will of God may be? 2. ASK FOR A SPIRIT GIVEN, WORD BASED PRAYER. It is to the Holy Spirit that we must look for confident direction in our praying and it is with a yielded will that we must come to the throne of grace in order to receive that direction. This requires approaching God with an utter dependence upon the Holy Spirit, and a determination to give Him full control of our situation with a “not my will, but thine be done” attitude. We are emboldened to do this because we are promised that “The Spirit helps us in our weakness. We do not know what we ought to pray for, but the Spirit himself intercedes for us through wordless groans. And he who searches our hearts knows the mind of the Spirit, because the Spirit intercedes for God’s people in accordance with the will of God.” (Romans 8:26-27 NIV Emphasis added). The first way is when the Holy Spirit gives us His own words to pray in response to our yielding to Him to pray through us. Typically the words or phrases He gives us to pray extend beyond our own intellectual understanding or are unintelligible altogether, such as tongues or groanings too deep for words. Paul calls this manner of prayer, “praying in the Spirit’ and encourages us to do it “at all times” (Ephesians 6:18 NLT). Jude specifically emphasizes the confidence building aspect of “praying in the Spirit” when he says that through it you are “building yourselves up in your most holy faith” (vs. 1:20 NIV). This means of praying increases our expectation of seeing answers because we know that God is at work using the things He gives us to utter to function like Spirit guided directives to accomplish His will. The second way the Holy Spirit helps us to pray confidently is by giving a revelatory promise from the Bible that reveals and expresses God’s will for the specific concerns we carry. Praying God’s Word, is the primary means that God has provided for us to pray according to His will. When we pray from the Bible, reciting back to God His own words and will, we do so with an incredible confidence, knowing not only that we are in agreement with Him, but also that He is hearing and agreeing with us. When the Spirit gives us a timely revelation as to how to pray by illuminating a portion of Scripture it is referred to as a “rhema” word. Rhema is the Greek word used in the New Testament to refer to a now, revelatory “word” from God. For instance, it is “rhema” which is used in the verse “faith comes from hearing and hearing by the word of Christ” (Romans 10:17 NASB). This verse is encouraging to anyone who lacks confidence in prayer because it promises that God has provided a way that faith can come! And even more importantly, it declares that the means by which faith comes is by receiving a rhema Word from God. This is why it is so important to ask the Holy Spirit for a rhema Word upon which to base our prayer. In so doing faith is released and confidence that God has both heard and will answer, abounds. 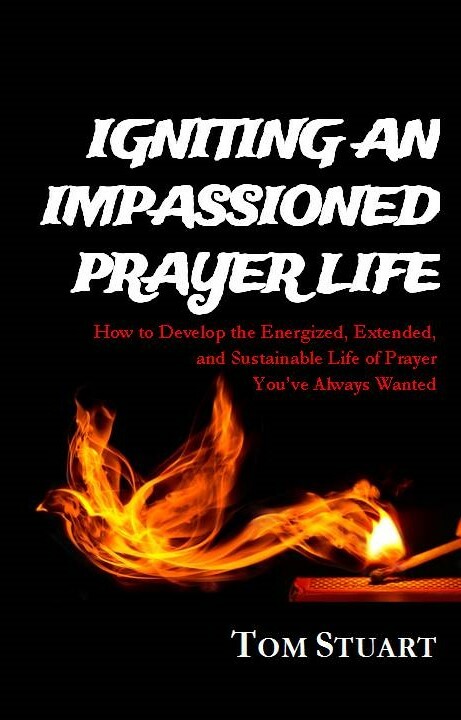 In summary, whenever you find yourself stumped and lacking confidence as to how to pray, pause and ask the Holy Spirit to help you. Expect Him, as the promised Counselor who leads us into all truth, to either give you His words to pray or illuminate a passage from the Bible for you to pray. Latch onto and use these Spirit given prayers as a basis for confidently approaching God and as fuel for persistently beseeching God until an answer is released. You will be amazed at the increase in faith and expectation praying in this way generates. The final installment of “3 Ways to Increase Your Confidence in Prayer” will be in an upcoming blog post. Stay tuned.